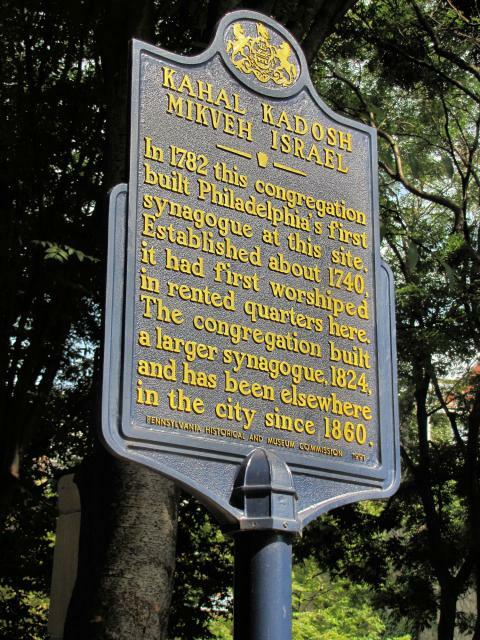 In 1782 this congregation built Philadelphia's first synagogue at this site. Established about 1740, it had first worshiped in rented quarters here. The congregation built a larger synagogue 1824, and has been elsewhere in the city since 1860. This marker can also be identified by its HM code. You can use the hashtag #HM1KCN in tweets, and any other place where you might refer to this marker, including when searching on this site.